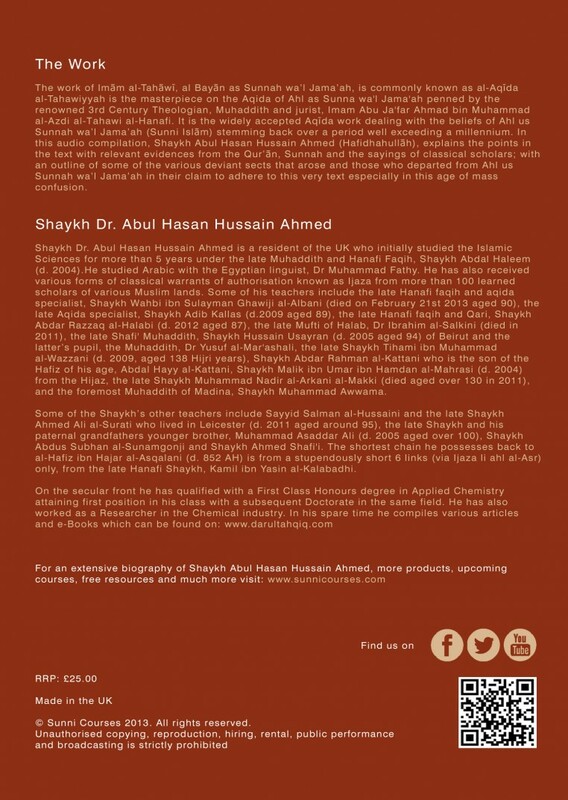 In this audio compilation, Shaykh Abul Hasan Hussain Ahmed (Hafidhahullah), explains the points in the text with relevant evidences from the Qur’an, Sunnah and the sayings of classical scholars; with an outline of some of the various deviant sects that arose and those who departed from Ahl us Sunnah wa’l Jama’ah in their claim to adhere to this very text especially in this age of mass confusion. 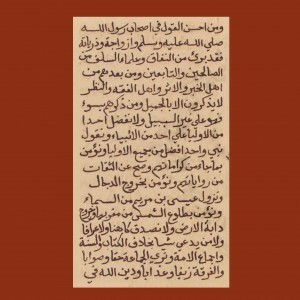 The creed of Imam al-Tahawi, al Bayan al Sunnah wa’l Jama’ah, commonly known as the Al Aqida al-Tahawiyya is the masterpiece on the Aqida of Ahl as Sunna wa’l Jama’ah penned by the renowned 3rd Century Theologian, Muhaddith and jurist, Imam Abu Ja’far Ahmad bin Muhammad al-Azdi al-Tahawi al-Hanafi. It is the widely accepted Aqida work dealing with the beliefs of Ahl us Sunnah wa’l Jama’ah (Sunni Islam) stemming back over a period well exceeding a millennium. 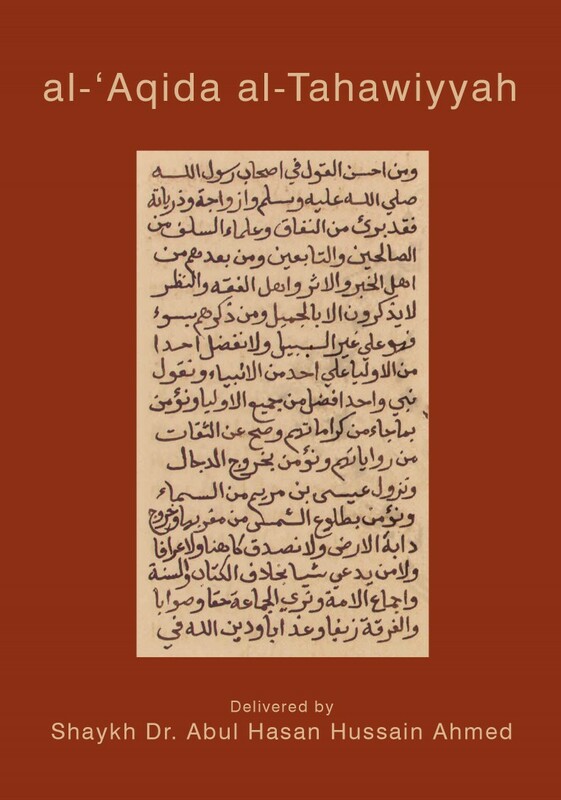 Tahawi’s “Doctrine” (al-’Aqida), though small in size, is a basic text for all times, listing what a Muslim must know and believe and inwardly comprehend. There is consensus among the Companions, the Successors and all the leading Islamic authorities such as the four Imams and their authoritative followers on the doctrines enumerated in this work, which are entirely derived from the undisputed primary sources of Religion, the Holy Qur’an and the confirmed Hadith. Being a text on Islamic doctrine, this work sums up the arguments set forth in those two sources to define sound belief, and likewise, the arguments advanced in refuting the views of sects that have deviated from the Sunna. 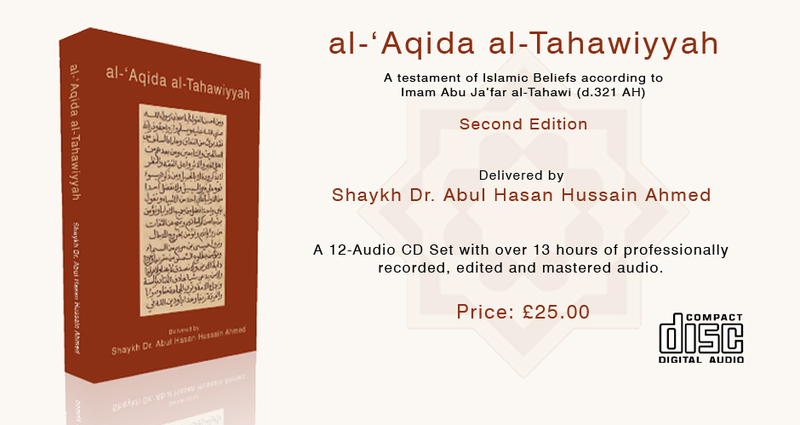 Be the first to review “al ‘Aqida al-Tahawiyyah – 2nd Edition (Audio CD Set)” Click here to cancel reply.